Krawls80(Youtube Guru) Inspired "Purple Inferno"
According to the official press release from MAC on the lipstick, the shade is a bright, and creamy pink and will have a satin formula finish. The name of the shade is Pink 4 Friday. The shade will become available on Friday, November 26. It will be available on the next four Fridays only -- while supplies last, so if you are looking to purchase this lipstick for yourself or for someone else, you should do so as promptly as possible. 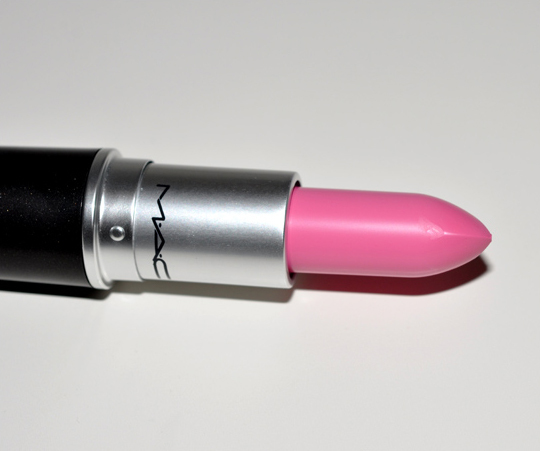 Nicki Minaj has confirmed in several past interviews that one of her favorite lipsticks of all-time is MAC Cosmetics'sPink Nouveau. Lady GaGa has also revealed in interviews that the shade was one of her favorites as well. According to the MAC press release, Nicki Minaj said of the shade: "M·A·C’s Pink Nouveau was my favorite lipstick for years, but it’s all about Pink Friday."